In thisCentenary Year the endless steam of celebrations and events shows no end in sight. This week, we were excited to see a couple of interesting little exhibitions cross our desk, both of which celebrate the energy and creativity present in young Canberra designers and artists. How fantastic it was to receive an email from our favourite carbon-based publication Us Folk describing their upcoming show at The Front Gallery and Cafe in Lyneham? While the title The Young Ones might spark memories of Cliff Richard or Rick Mayall (depending on your vintage) this iteration showcases the new crop of two- and three-dimensional artists from around our city. Whether you have a penchant for sculpture, photography, collage or painting there will be something for everyone on display from today, Tuesday 9 April until Sunday 14 April. The list of artists represented is even longer than that of the media used, so chances are you know someone involved in the show. If not, you need to get out more, and this is the perfect opportunity. What we’re most impressed by is the relentless effort of Us Folk to promote local artists. Barely a year old, Us Folk has produced four quality editions of its magazine with a firm focus on creativity. The fact they have managed to combine a physical exhibition into their workload is incredible – and from behind our humble keyboard we tip our digital cap. The official launch is at 6:30pm Wednesday 10th April. The event is sponsored by National Youth Week, ACT Government, Beyond Blue, and Youth Coalition of the ACT. Meanwhile, a group of established (though fabulously youthful) jewellery designers have got together the produce the exhibition Fivefold which will display its wares this week at Lonsdale Street Traders. Unsurprisingly, the show features five contemporary local designers: Sarah Carlson, Kat Circuitt, Alison Jackson, Janel Laza and Danyka van Buuren. Keen-eyed urbanites may have spied the invitations scattered around various Inner-north locations. It’s a clever piece of work, comprising of a flat, double sided sheet of cardboard with instructions on how to fold it up into a brooch – it even comes with it’s own pin! To assist with those keen to get along to the opening of the exhibition at 6.00pm on Thursday 11th April and partake in the chance to win a limited-edition, handmade Shibuichi sterling silver brooch, click on the version below and you can print it out for yourself. 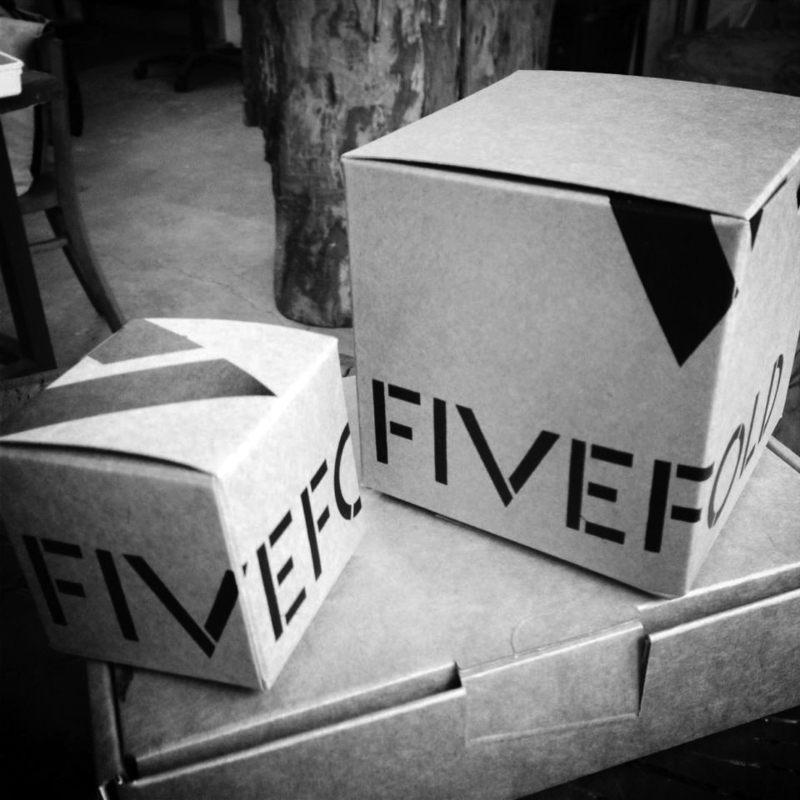 As an endorsement of the quality of the work on show, FIVEFOLD will be opened by Robert Foster of F!NK & Co.